I have played slightly more of a variety on console. A�Chris picked up a PS4 a couple of months ago and we played some MK and call of Duty on that. A�I enjoyed the latest MK and even had fun shooting at Chris and his stupid bot teammates. A�It actually made me consider getting one for myself, but then I remembered that it is summer and I only make enough to pay bills and go on five vacations. A�I know, I know. A�Feel sorry for me. A�If you feel badly A�enough, I can open a Kickstarter. I have played a lot on the Wii U. A�While the boys and I haven’t continued our adventures in New Super Mario Bros. U, we did finally get a chance to rent Pokken Tournament. A�Unlike Pokemon Go, which feels like an extremely polished beta and fell slightly short of expectations, Pokken Tournament is everything I had hoped it woudl be and maybe even more. That’s saying something. 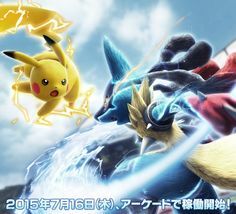 Pokken Tournament was one of my most anticipated games of the year. Under normal circumstances, a Pokemon fighting game would not excite me so much. A�I’ve seen too many of these offshoot type games come and go to know that the only reason they get any attention at all is because of the brand name. 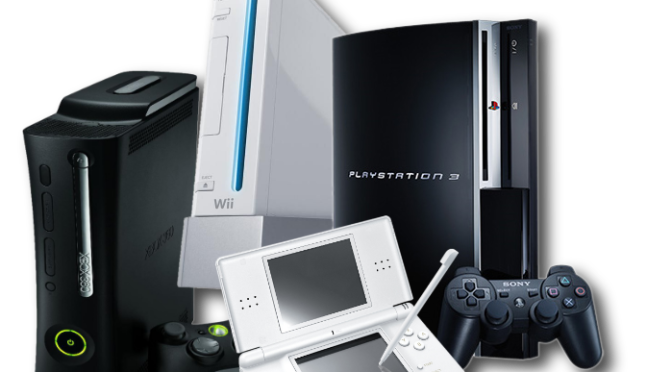 A�Nintendo, especially, is famous for green lighting extremely questionable games for their properties. 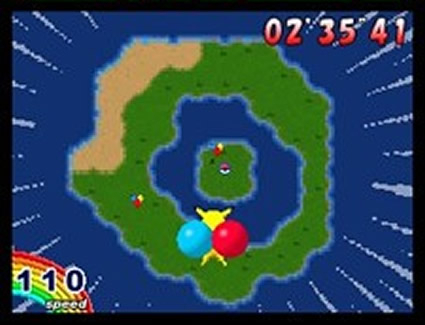 Remember Pokemon Dash? Of course you don—oh, you do? Well, then, I’m sorry. I’m very, very sorry. This is not one of those games by any stretch of the imagination. A�Instead of keeping the development of the game in house, they partnered with the makers of Tekken. A�Granted, the aforementioned Pokemon Dash was the result of collaboration with an outside company. A�However, there is a big difference between Namco and whatever out of business company produced that abortion of a game. Oh, and before you accuse me of a love in with Namco and Tekken, I need to assert that Tekken is not even my favorite game in the technical fighting genre(?) A�Is that even a thing? A�Or, did I just make it up? A�I don’t know. A�It sounds like a thing. A�Let’s treat it like a thing because it makes the next paragraph that much easier to write and I don’t have to go into a long back story. A�Even though we all know that’s what I love and I pretend that you all love it, too, in an attempt to convince myself that it’s all worth it. So, in what may be a first, a short explanation. A�Once upon a time, there were two polygonal fighters that revolved more around actual fighting strategy than throwing balls of fire at the opponent. A�One, of course, was Tekken. A�The other was Virtua Fighter. I don’t know if the games were meant to be direct competition to one another. A�But, that’s what we do as gamers. A�We bring competition where there should be none. A�After all, look at the Hearthstone phenomenon. Bazinga! Oh, you’ve spent the entire game playing strategically and following a carefully crafted gameplan? Here, let me cast a bunch of completely random spells that invalidates all of that and reduces the game to a series of dice rolls and coin flips. Hmm, well played. Well, in the great technical fighting game battles of the 1990s, I was firmly in the corner of Virtua Fighter. A�In fact, Virtua Fighter 2 is probably one of my top 10 games of all time. A�I say probably, because I haven’t actually ever extended my list officially to 10, but off the top of my head I can’t think of 5 other games that I like better. A�Hopefully that establishes my credentials as a non fanboy of Tekken. A�With all of that being said, Namco does make a decent fighting game and they did a heck of a job with Pokken. They could have just made all of the Pokemon play the exact same and just give them different voices and one or two attacks that fans would recognize. A�They didn’t. A�All of the Pokemon play as different fighters with different strategies. A�This adds a variety and replayability because you want to try to master all of the different styles. A�The game also makes use of the buddy feature common to many fighting games where you pick a companion Pokemon to fight alongside your main character. A�Overall, a great game and I can’t wait to play it more and have a more detailed review in November when the boys and I cover the game for Pokemon month. Pikachu, I choose you! …to beat the crap out of other Pokemon! Aside from my introduction to Pokken, I have actually been catching up (slowly but surely) on my XBox 360 list. A�I have advanced quite far in the story on both Fallout 3 and Skyrim. A�I haven’t even been using a walkthrough for Skyrim. A�Those who know me and have read my articles know that is quite the achievement for such an open world game. A�I still get distracted by the carrot on a stick side quests, but I’m moving right along. A�At this pace, I should be done with the main questline right about the time that they release the remake on the XBox One 360 Redux Master edition in 10 years. Finally, of course, I played some Portal 2. A�The play through was nothing short of amazing and the game is still special to me. A�This time was more special, though, because they boys joined me for the journey. A�Both Liam and Aiden were able to get a kick out of the humor and Quinn was blown away by the sometimes twisted physics of the portal gun. A�I started an article about why I’m so attached to this game that I will play it time after time over other games that I haven’t yet finished. A�Maybe I will post it when I’m suffering one of my legendary bouts of writer’s block. Well, that’s about it for my console summer. A�I still have two other articles to write about mobile games (where I’ve spent most of my time in the Digital Playground) and tabletop escapades. A�I haven’t done as much On the Tabletop, but I have gotten back into Magic and started to put together my Hordes armies, so there will be plenty of pictures. A�Until then, keep on gaming!